Art Deco V Leaded Stained Glass Window Custom Glass Design. 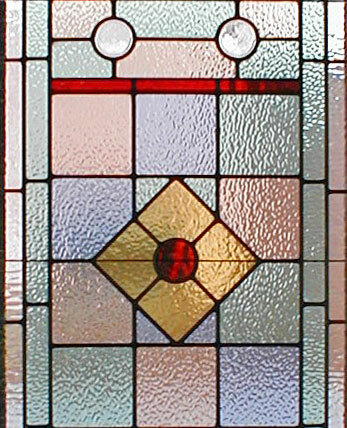 "ART DECO V" LEADED STAINED GLASS WINDOW INSPIRED BY THE ART DECO PERIOD CUSTOM AT GLASS BY DESIGN. This custom stained and leaded glass window was 21" x 75". The glasses used in this custom stained and leaded glass window were English Muffle.